After 1956, creepers began to be replaced by black, Italian-style, pointed-toe shoes and this became the basic teenage look of the late fifties and early sixties, especially in the north: blue jeans with turn-ups and, sticking out underneath, winkle-pickers. 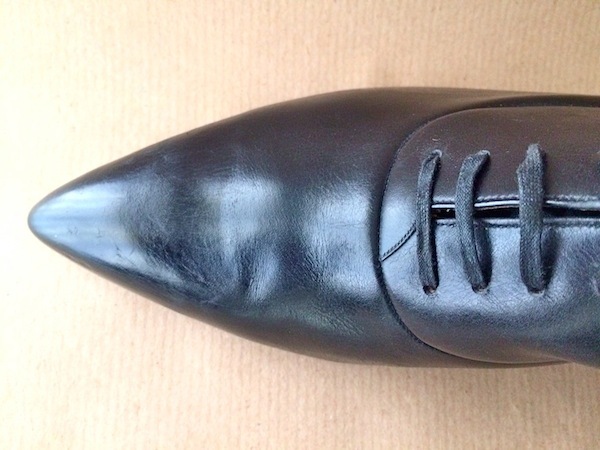 About half way through my time there (Rome), my cheap Spanish shoes, the upper parts of the soles made from a substance resembling cardboard, disintegrated. 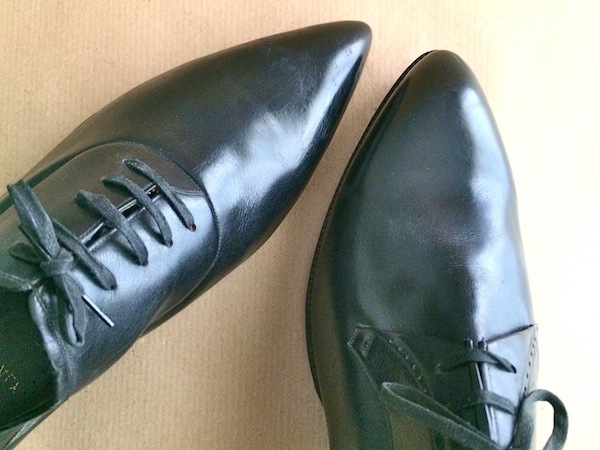 The new pair of Italian shoes that I replaced them with had fashionable, pointed toes - called "winkle-pickers" in England - a horrible style for my wide feet, so I suffered foot-wise throughout the rest of my journey home, using band aids on my little toes as sideward shock absorbers. 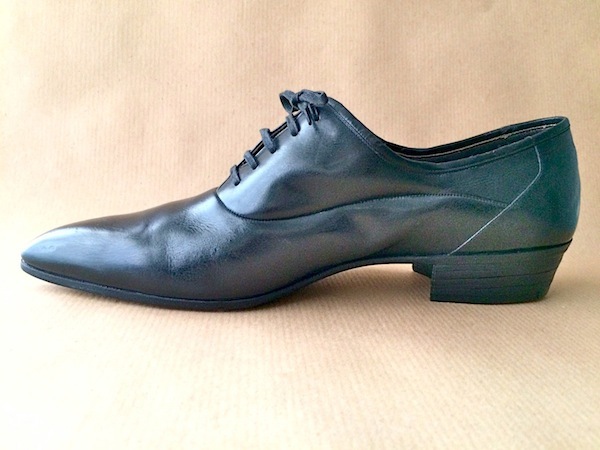 She watched her feet moving over the pavement in their new patent leather Italian shoes with long pointed toes. She loved her winkle-pickers and was a little miffed that Carol hadn't mentioned them. 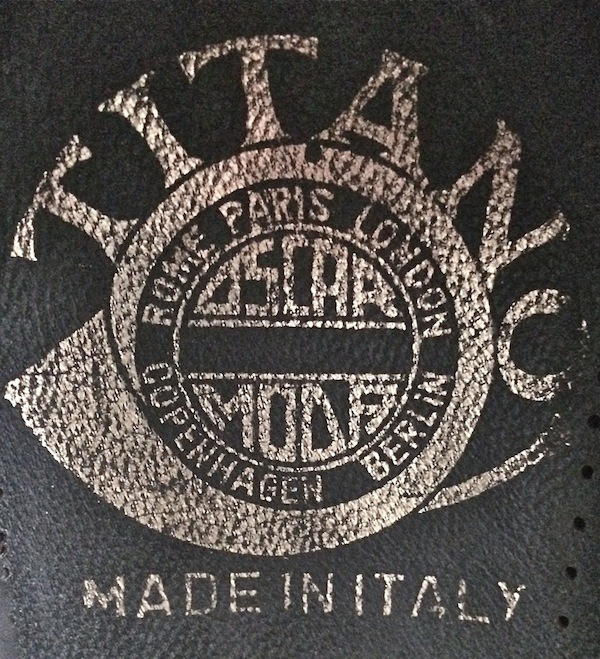 The insole label of these Titano winkle-pickers indicates Rome, Paris, Berlin, Copenhagen and of course London as the places where to purchase them. So, it's nice to think of some modernists shod in Titanos although we can't say it for sure. All in all, they would have fit perfectly. 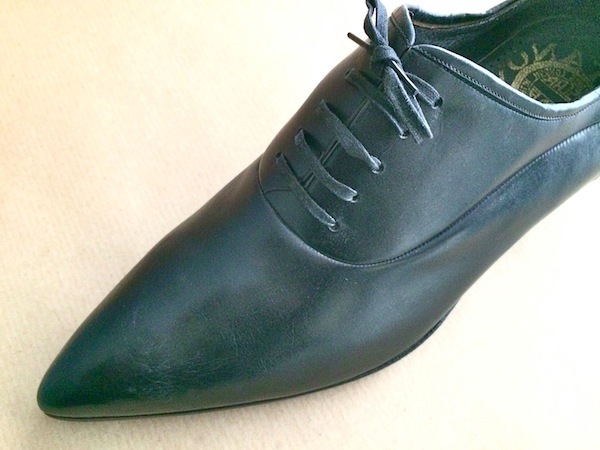 In Liverpool, Angela was initially attracted by the young Italian waiter's winklepickers, which were made out of soft black leather and were unmistakably stylish. "I fell for his shoes," she said. She laughed at the memory, running her fingers through her hair.